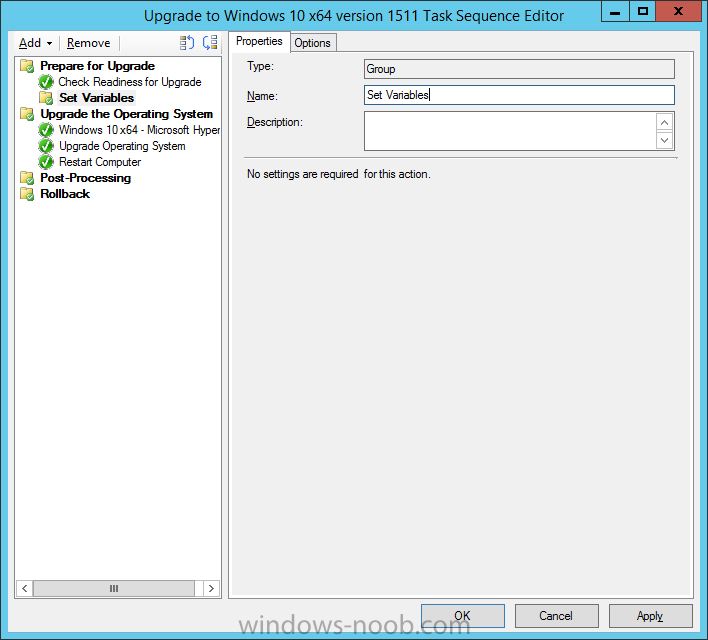 To prepare your environment for Windows 10 servicing you learned how to setup Software Updates using an automated method (via a PowerShell script) or manually using the ConfigMgr console. Next you used a PowerShell script to prepare some device collections, then you configured client settings for your enterprise and finally you'll deployed the ConfigMgr client agent using the software updates method which is the least intensive method of deploying the Configuration Manager client agent. 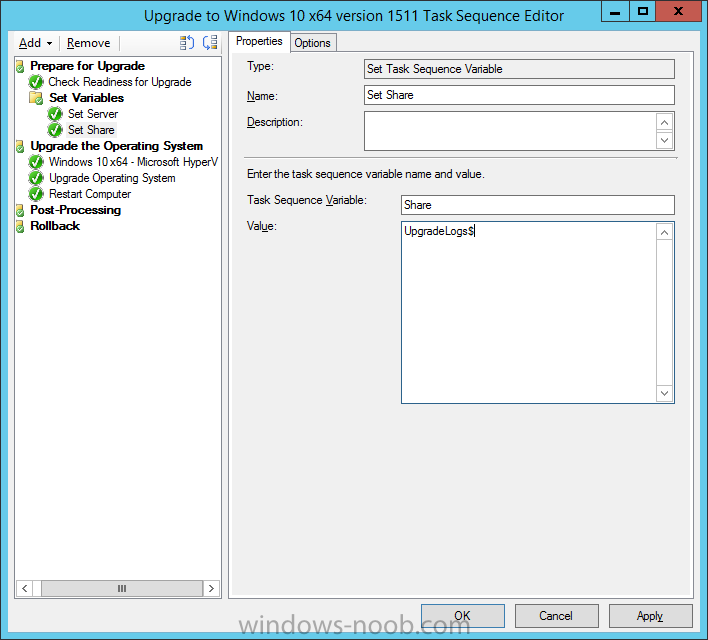 As System Center Configuration Manager (current branch) is being delivered as a service now, version 1602 was made available (March 11th, 2016) and you used Updates and Servicing to do an in-place upgrade to that version as explained here. 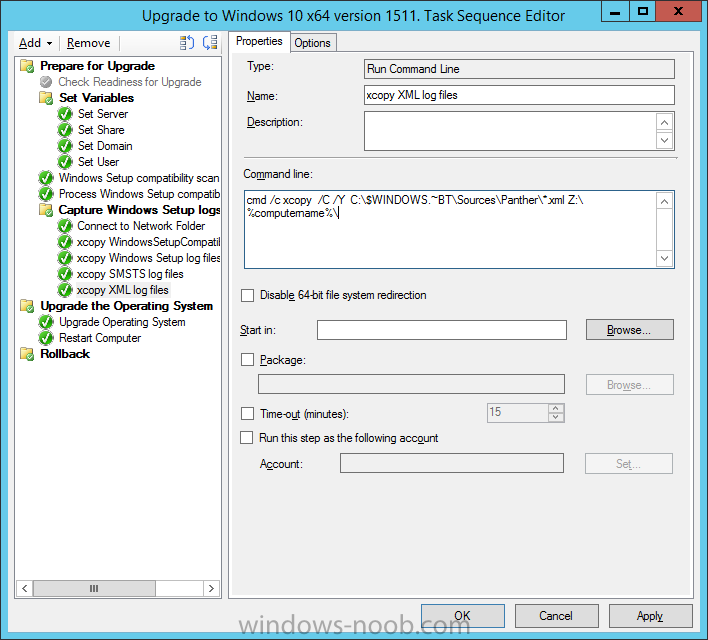 Next you learned about how to use the Upgrade task sequence to upgrade your Windows 7, Windows 8 (and 8.1) and even your Windows 10 devices to a later build of Windows 10. 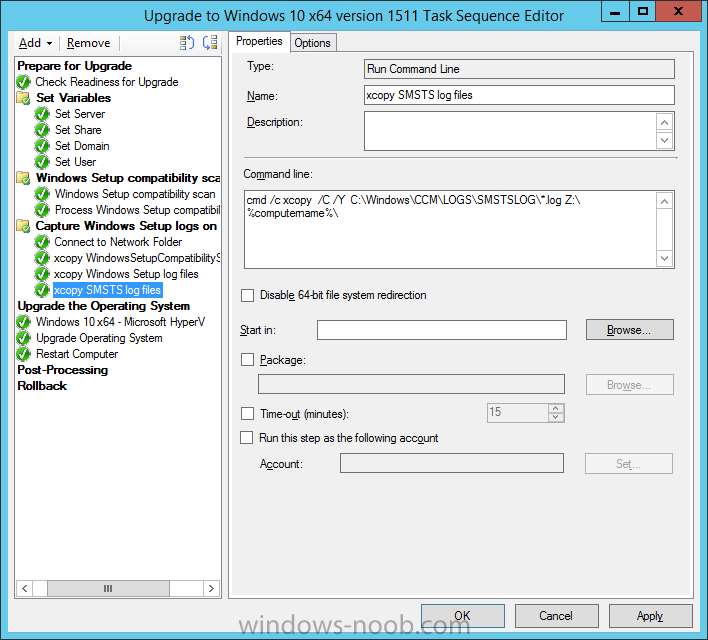 You then learned about the new Windows 10 servicing features which use Servicing Plans in ConfigMgr (Current Branch). 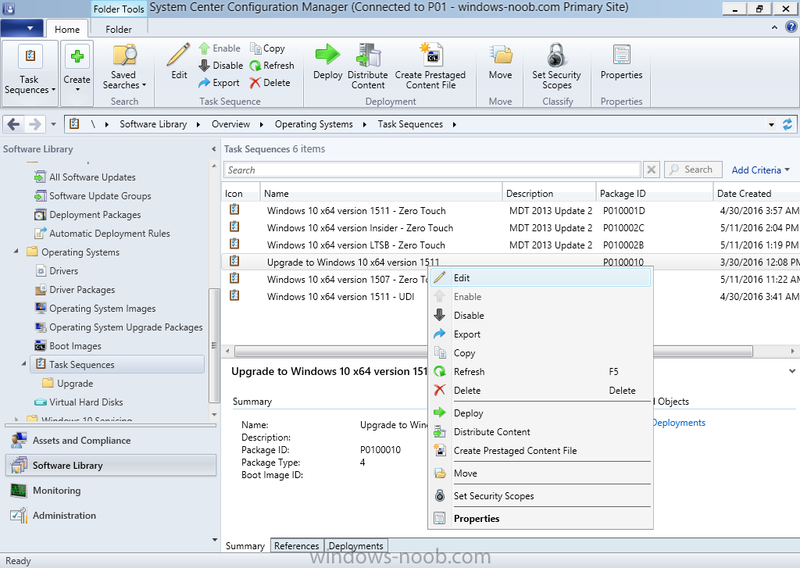 Next you integrated MDT 2013 update 2. 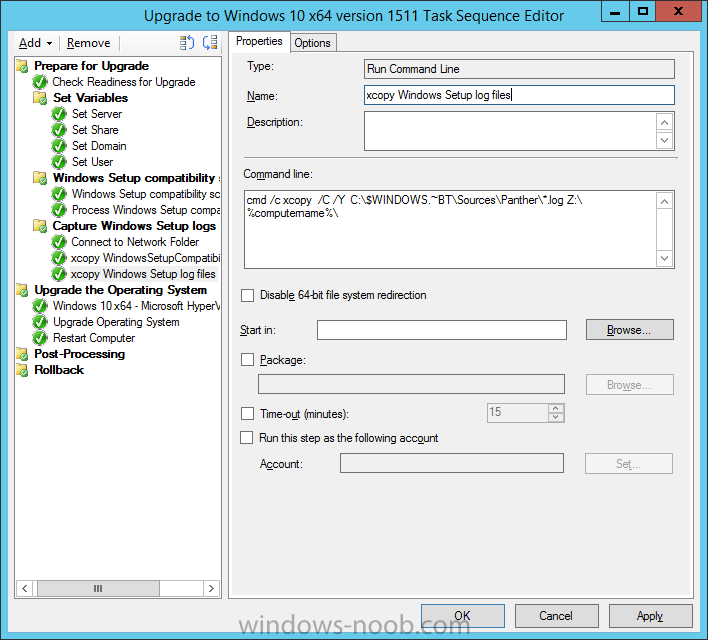 MDT integration with ConfigMgr is useful as it provides additional functionality for operating system deployment scenarios such as Offline Language Package installation or User Driven Integration (UDI). Next you learned how to deploy Language Packs offline for Windows 10. To assist with Windows 10 servicing and for applying appropriate software updates to your Windows 10 devices, you used PowerShell to add queries to the various Windows 10 collections. 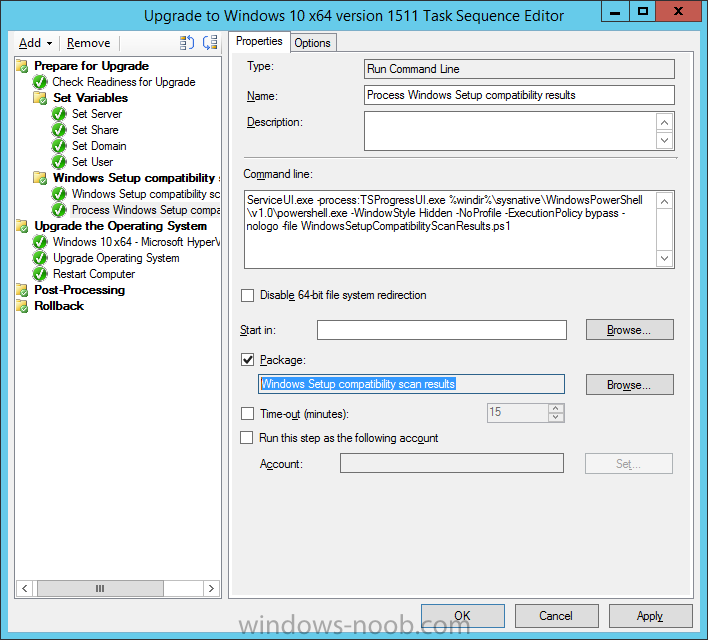 In this post you'll take a deeper look at the Windows 10 Upgrade task sequence, and see one way of dealing with potential upgrade issues. The idea here is to keep track of any upgrade failures, capture the logs that matter, capture the computer name and hardware type. 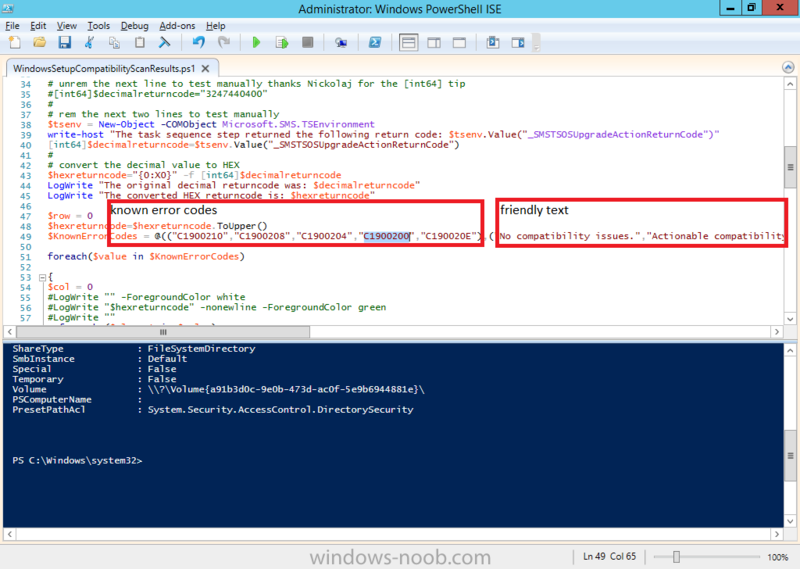 If you see repeated 'common' failures you can add those error codes to the Windows Setup compatibility scan PowerShell script. This way your users that do experience failures will not get cryptic error messages, and you'll have the logs to fix things. As you'll want to keep track of potential problems, create a hidden share to store log files. 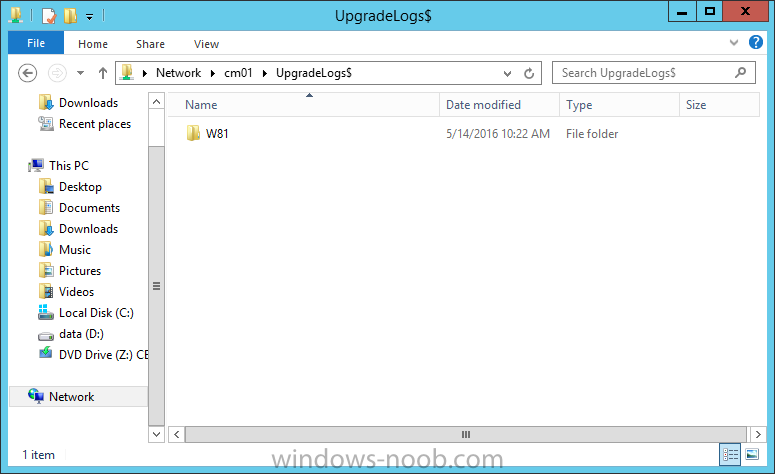 On your configuration manager server, start Windows PowerShell ISE as Administrator, and run the create upgradelogs.ps1 PowerShell script available in the downloads section at the end of this guide. 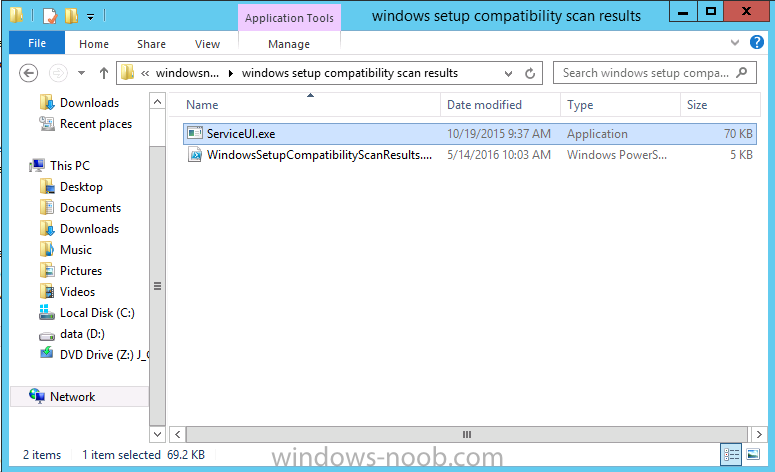 On your ConfigMgr server, in the sources share, create a folder called Windows setup compatibility scan results and place the WindowsSetupCompatibilityScanResults.ps1 PowerShell script in the folder. 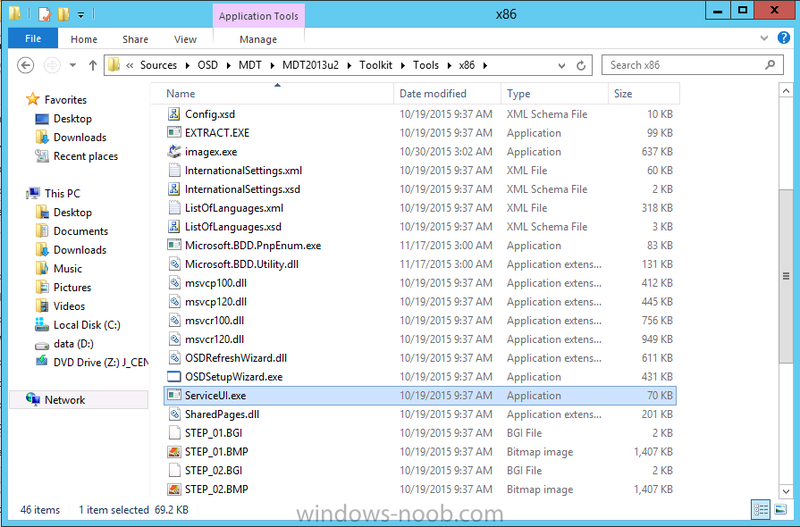 Locate, select and copy ServiceUI.exe from the Sources\OSD\MDT\MDT2013u2\Toolkit\Tools\x86 folder as shown below. paste that into the Windows setup compatibility scan results folder. 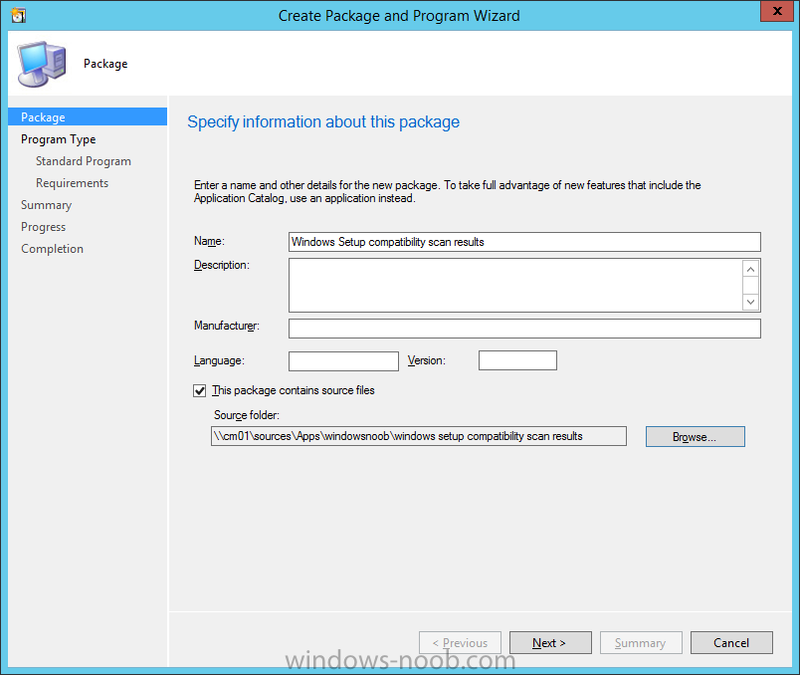 In the ConfigMgr console, Software Library, select Packages and right click, choose Create Package. Fill in the following details. 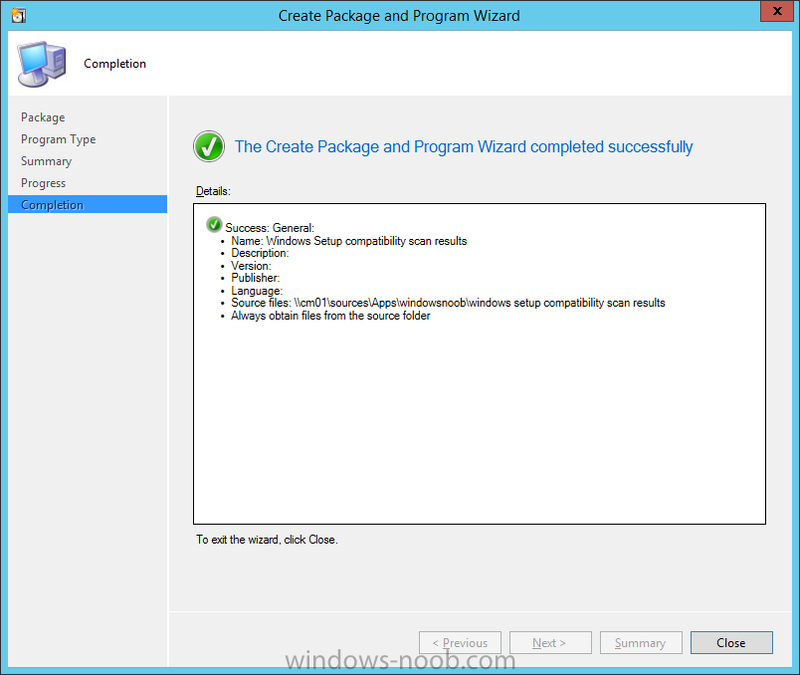 Choose Do not create a program and then continue through the wizard until completion. Right click the package and choose Distribute Content. Distribute the package to your distribution points. 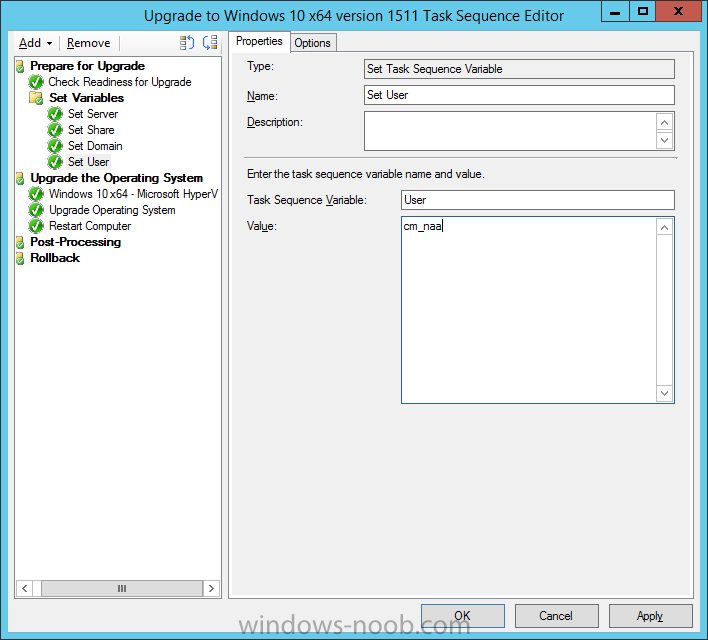 In a previous guide you created the Upgrade task sequence, now it's time to add additional functionality to that task sequence. 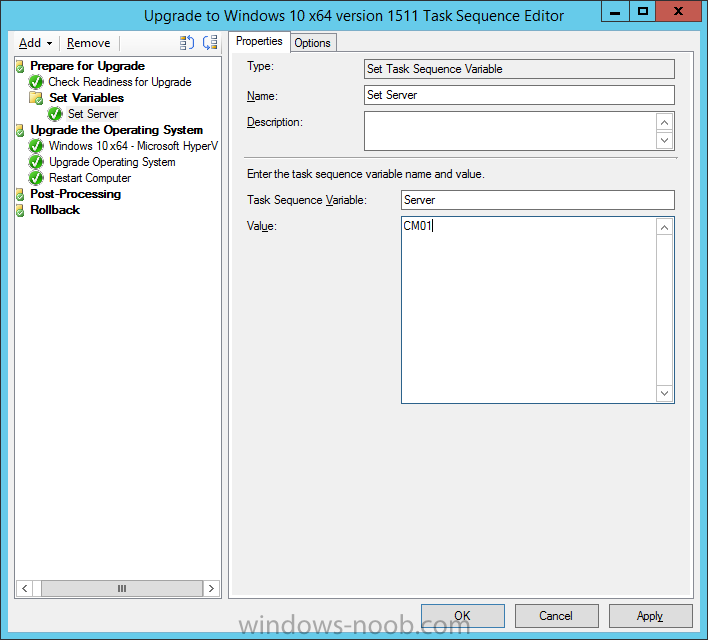 In the ConfigMgr console, locate the Upgrade to Windows 10 x64 version 1511 task sequence, right click on it and choose Edit. 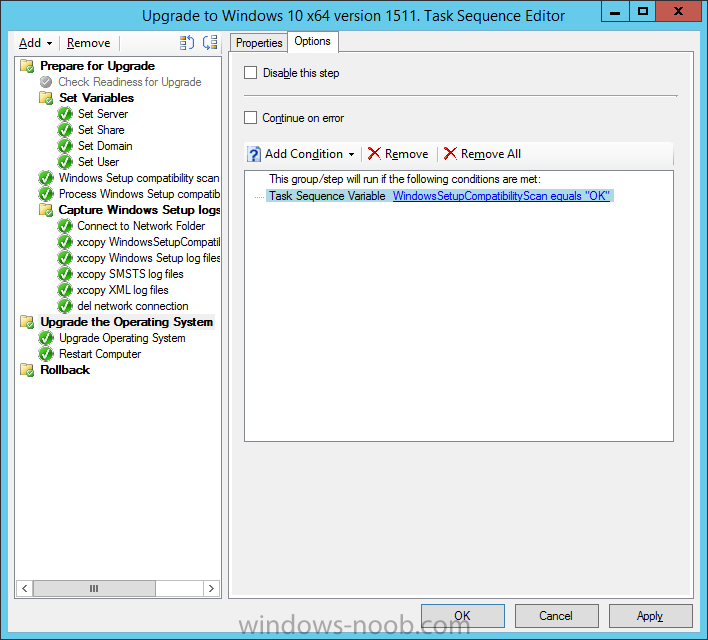 In the Prepare for Upgrade group select the Check Readiness for Upgrade step and click on Add then select New Group, name the new group Set Variables. Next click on Add, choose Images, then Upgrade Operating System and name the step Windows Setup compatibility scan. 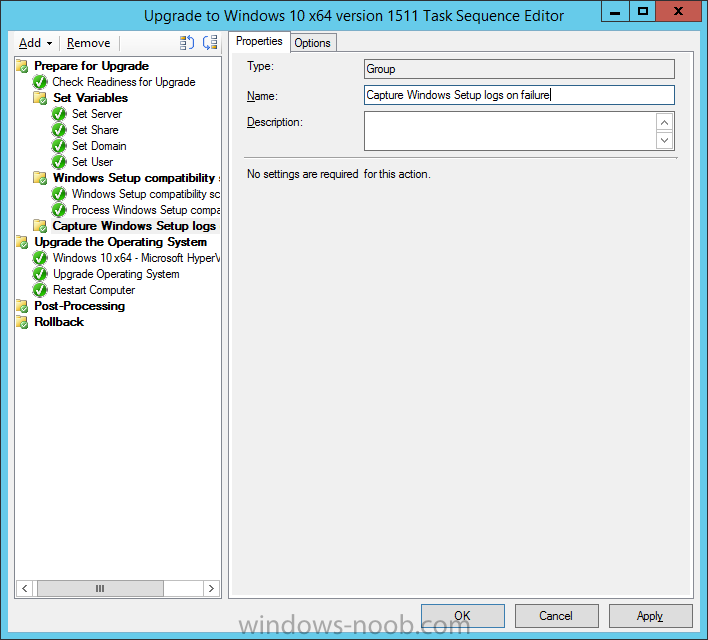 Select the Perform Windows Setup compatibility scan without starting upgrade option. On the Options tab, select the Continue on Error option. 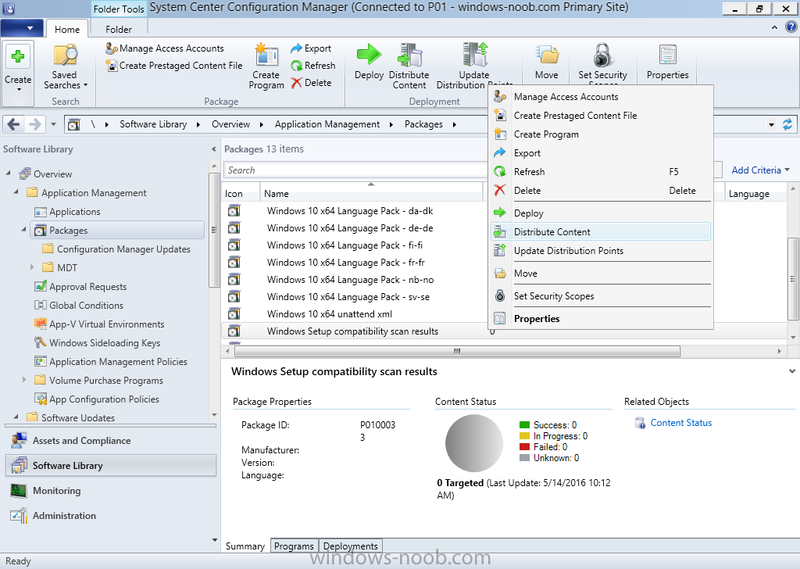 For Package, select the Windows Setup compatibility scan results package created above. 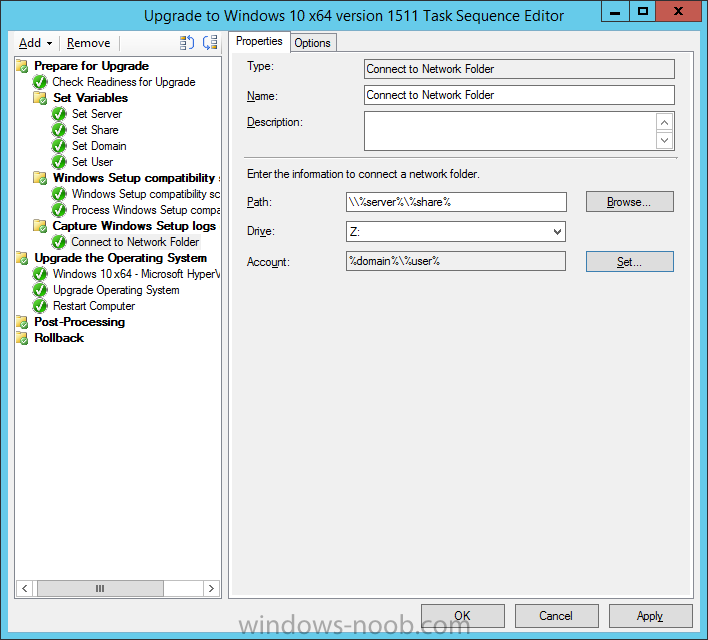 cmd.exe /c "net use * /del /yes"
Apply the changes and close the Task Sequence editor. Tip: To induce a failure you can temporarily disable the Check Readiness for Upgrade step and use a Virtual Machine with only 1.5GB of RAM. 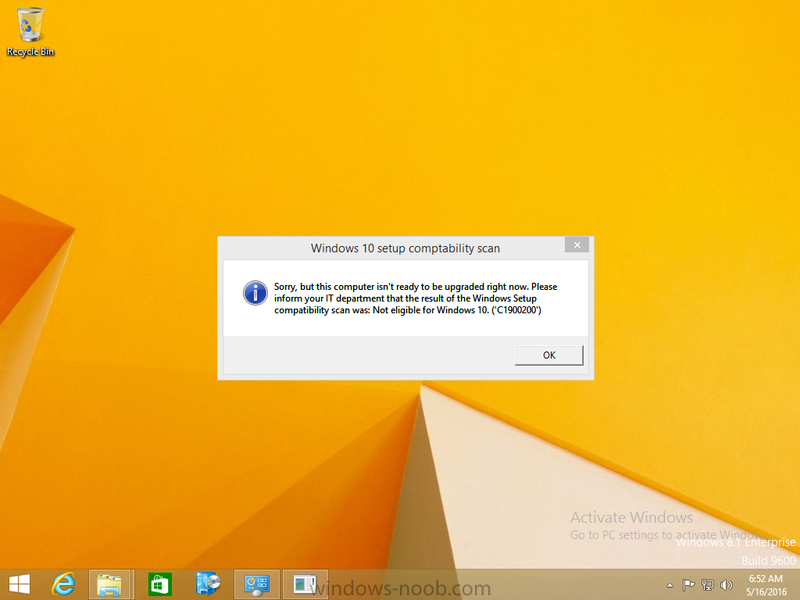 This does not meet the requirements as stated here and will cause the Windows Setup compatibility scan step to report a failure. 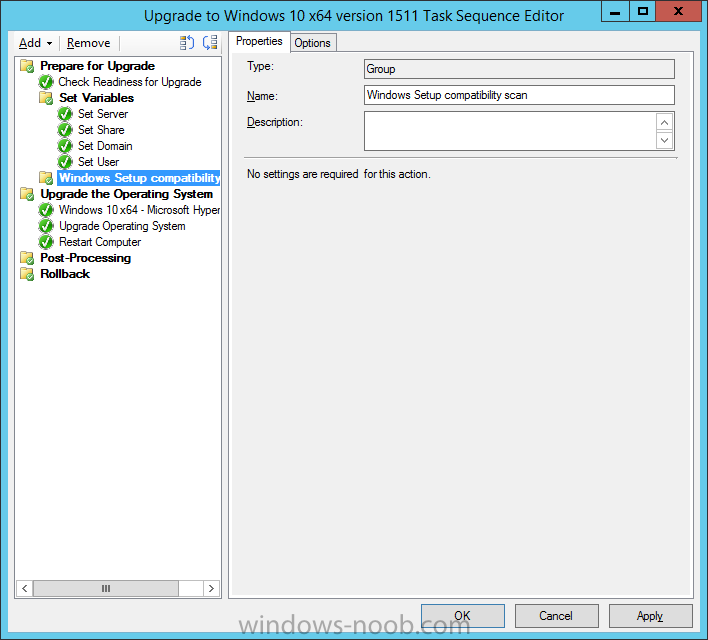 after clicking OK the task sequence will jump to the end without any further communication to the end user. At this point (or whenever it's convenient) check the UpgradeLogs$ share for new content. For every failure that occurs, a folder matching the Computer Name will be created. 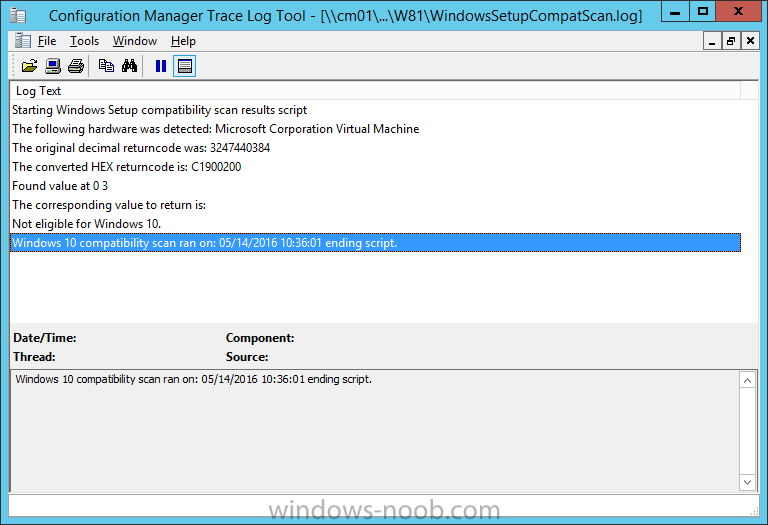 The WindowsSetupCompatScan.log file is generated by the Windows Setup compatibility scan results script and sample content is below. Note that it contains information about what the error was (including friendly text about the error) and the date/time and hardware that it occurred on. 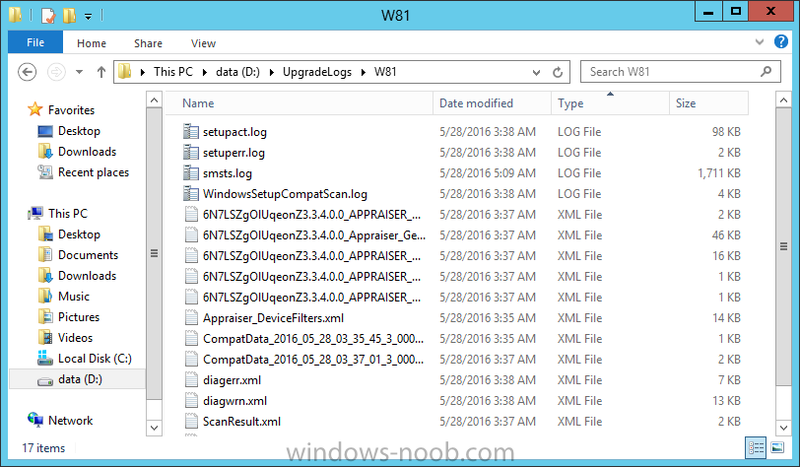 In addition to that log file you have the smsts.log file from C:\Windows\CCM\Logs\SMSTSLOG folder and two relevant Windows setup log files called setupact.log and setuperr.log from the C:\$WINDOWS.~BT\Sources\Panther\ folder. Well that's it ! 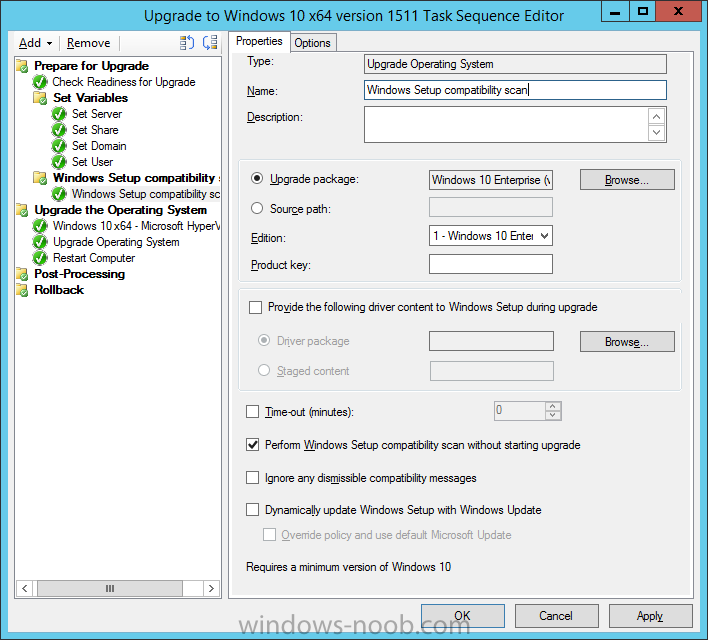 job done, I hope this helps you with your Windows 10 Upgrade Task Sequences. 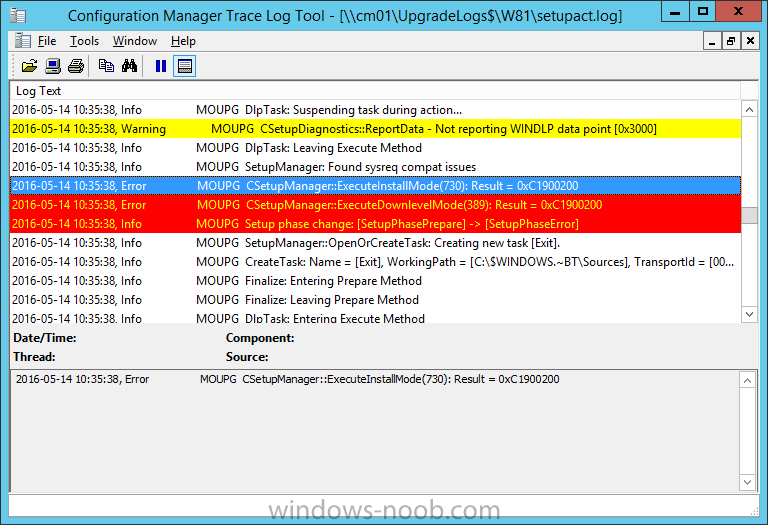 Tip: You can use the MailLog functionality described in the Windows-noob OSD Guides book to be notified of failures in real time. Sometimes things don't go according to plan and the Windows 10 Upgrade task sequence can fail for a variety of reasons. 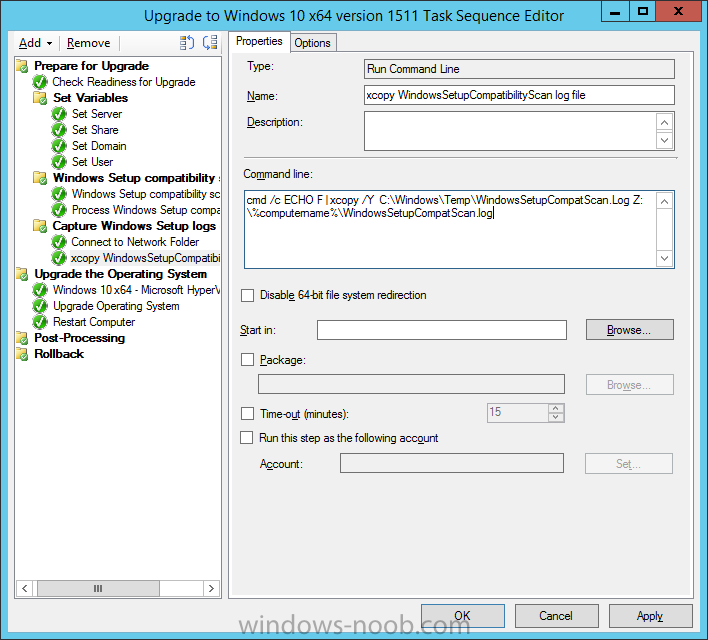 Rather than having the task sequence fail during an actual upgrade, it makes sense to run a compatibility scan first and to assess the results of that scan before attempting the actual upgrade. 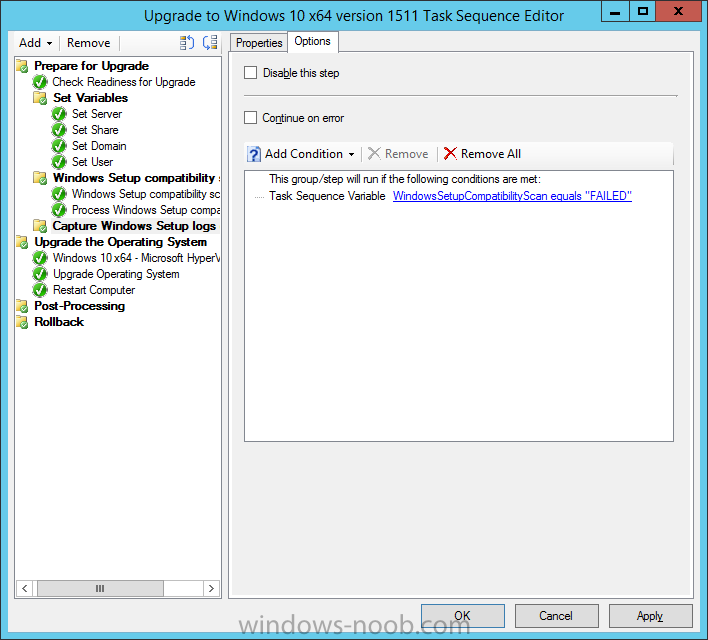 If the compatibility scan does fail, you can notify your users with a helpful message and the task sequence will automatically capture the data you need to troubleshoot and resolve the upgrade issue. This guide helps you achieve that goal. You can download a Microsoft Word copy of this guide here dated 2016/05/14. 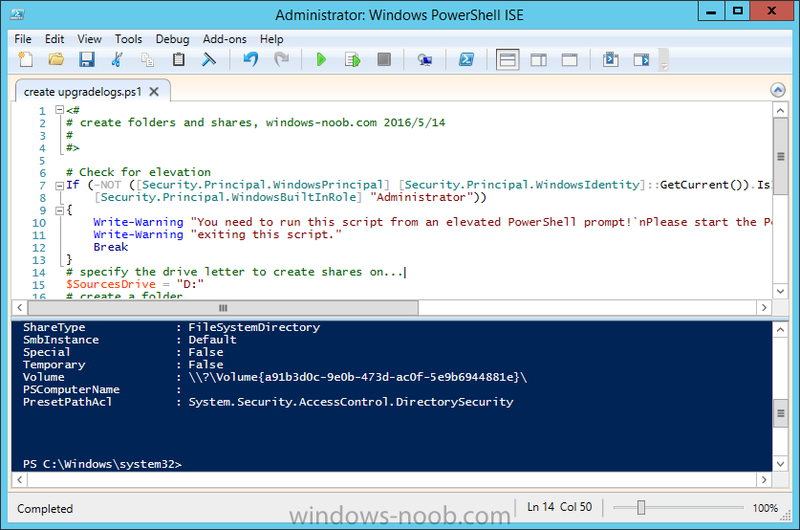 You can download the PowerShell scripts used above here. I know you temporarily disabled the "Check Readiness for Upgrade" step but I was wondering if it was still required if the Windows 10 Setup Compatibility Scan did the same thing by returning Error Code C1900200 (Does not meet system requirements for Windows 10) ? I'm trying to minimize my task sequence as it continues to grow by adding more logging features etc. of course if your collection queries do this then you can remove it. 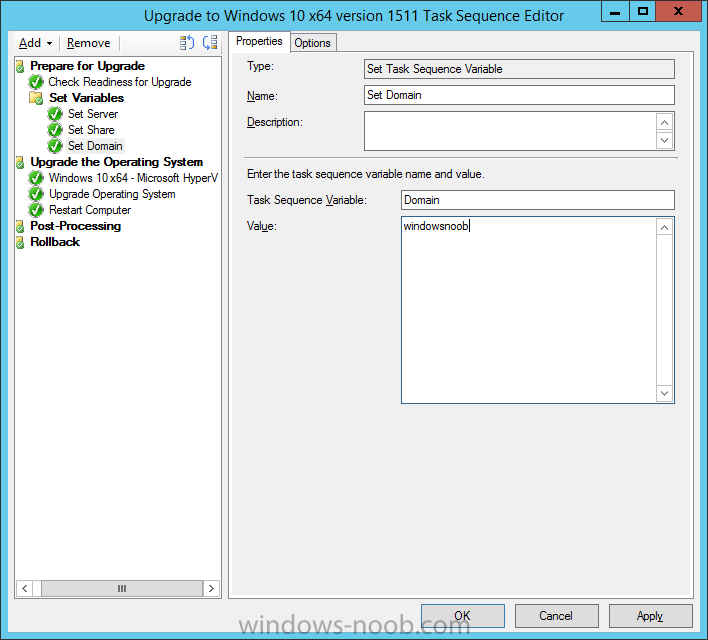 ​I was just testing this out and it works, but the task sequence Status in Software Center now shows as "Installed". Is this by design or can we add a return code to change it? 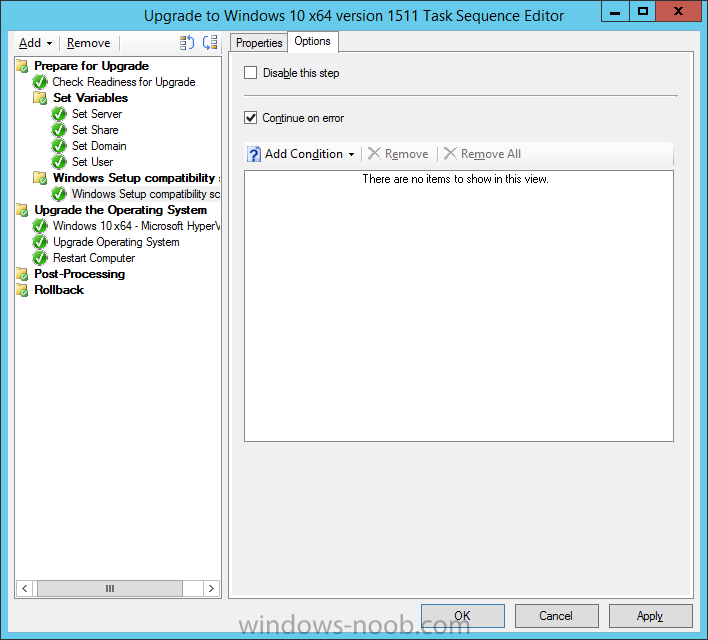 Failed to run the action: Process Windows Setup Compatibility Results. Nor sure if you are still looking at this. For some reason my logs do not copy to a UpgradeLogs$ share. Where can i check in the logs what is going on? I dont see anything in smsts.log file. I test myself this task and everything is working fine. I have a bunch of Lenovo T450, T460s and T460p in my company. Almost every time I got the "video card incompatibility issue". I injected the drivers directly in the Win 10 image using dism, but I get the same error all the time. How can this be solved beside checking the " ignore any incompatibility issue" check box? can you attach your smsts.log files please ? I went through this and it failed on the "Process Windows Setup compatibility results" step. Do you have any words of advice as to what to check? is the ps1 script actually available in the package mentioned ? I actually tried running this again after stripping out the pop-up notification in the ps1 and after that it worked. I have the log files copied to the share location. It could be that when I did the first test I had clicked outside of the active Task Sequence window which I've read it needs to remain active. Does that sound right? hard to tell without reading the entire log to see the failure properly can you attach it ? I've attached the log to my original post. I ran a test run with just running the check on a group of PCs and all of them came back with the error.
" Process Not Found: [TSProgressUI.exe]"
I should mention this was pushed as a forced required deployment when this issue occurred. I did realize during my first deployment of this group of PCs that I did choose to uncheck "Show Task Sequence progress" under User Experience. I assume this is the reason for Process Not Found: [TSProgressUI.exe]"
I did another deployment over the weekend and I have 50% success and 50% failure. Those 50% of failure reporting about TSProgressUI.exe again even though it was enabled this time. that sounds very likely, so it's working fine now apart from the unexplained past failures ? No, the one from this weekend was the one with 50% failures after displaying the Task Sequence progress. Before all of them failed when I hid it. The failures are reporting the process not running. can you do a remote session over teamviewer so i can take a look ? Thanks for the offer but I think this would not be allowed. My upgrade TS fails with following error after scan has run..
Is the first path wrong or is it supposed to work? This thing keeps failing me.. is there anything needed to be customized in the WindowsSetupCompatibilityScanResults.ps1 for this to work? I'm running two VM`s, one with 1 GB RAM to test this out, the other with enough RAM to pass the scan.. However both of them "fails".. Looking in the SMSTS.LOG on the VM with low RAM i can see the exit code: Windows setup in 'scanOnly' mode returned exit code hexadecimal 0xC1900200 ( decimal 3247440384) . Failing task sequence step. can you attach your smsts.log file please? This is from the client with only 1 GB RAM and wtih "Check Readniess" disabled in the TS.